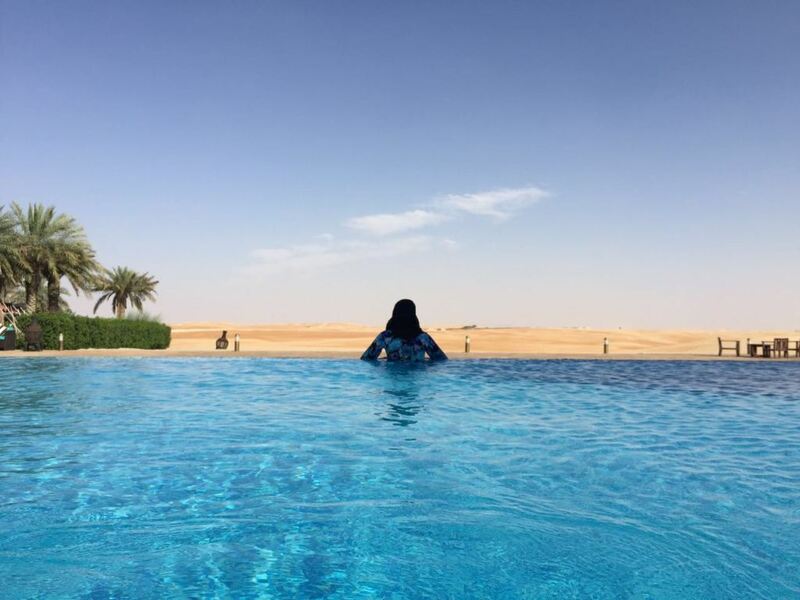 What a better way to start the month of May than a staycation, soaking in the Emirati desert landscape in all its glory. 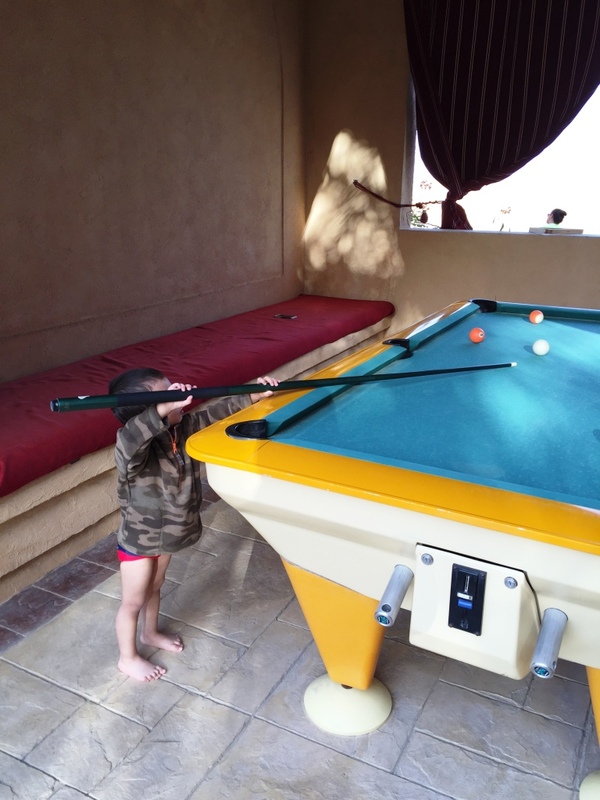 That is exactly what we did during our 2 night stay at Tilal Liwa Hotel, located on the edge of Rub Al Khali. 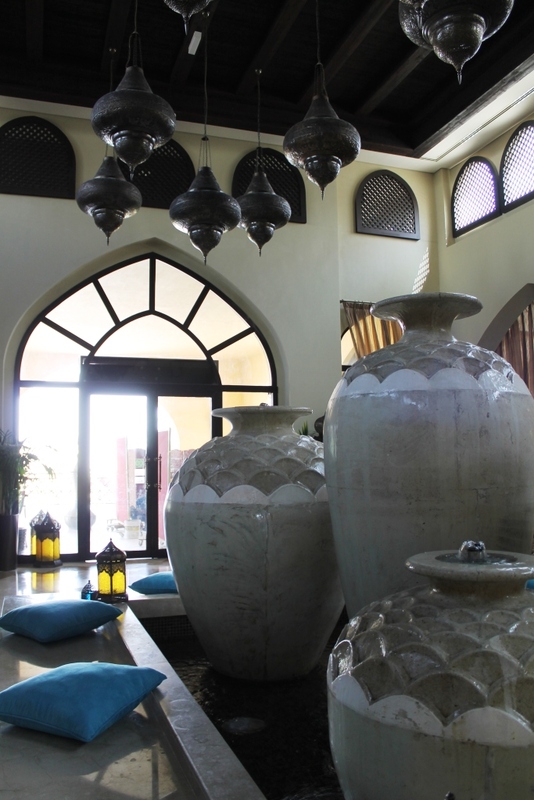 The hotel, built in a traditional style is the perfect retreat for anyone seeking a unique desert experience, amid rolling sand dunes and unspoiled desert landscape. 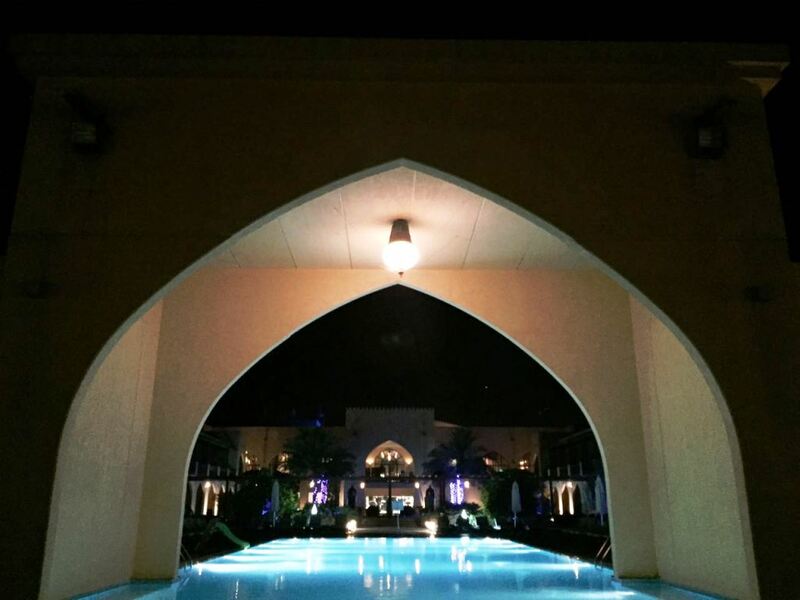 Infact, all 111 rooms are either facing the dunes or inwards overlooking the traditional gardens and pool! Having seen many photos of the famous pool with the desert view, we were very much excited to witness it for ourselves. I say famous, because it has starred in a Bollywood movie, and in numerous other productions too! And so, Sunday morning we began our four hour journey, reaching the hotel at approximately 3 pm. I mean, I knew the hotel was located in the middle of a desert, but I really did not expect just how deep within it would be. 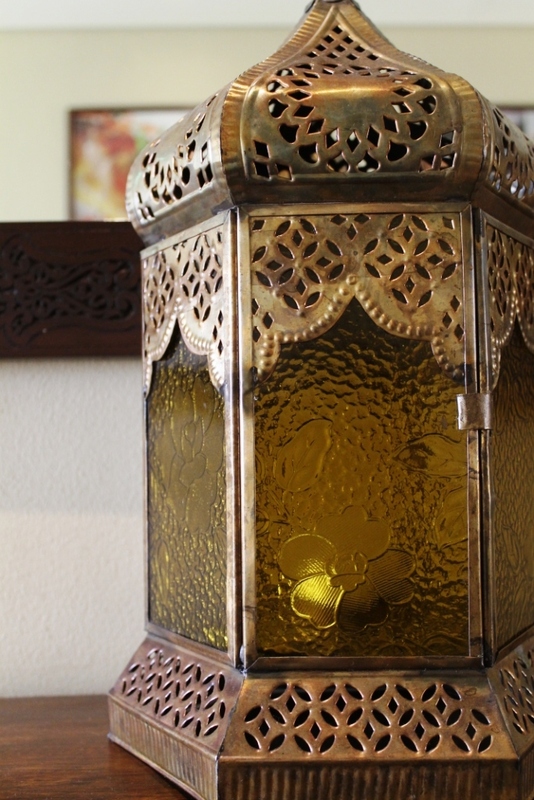 The views are absolutely breathtaking, and we felt all kinds of middle-eastern traditional vibes once we were welcomed in, thanks to the soft music and decor, as well as the hospitality. 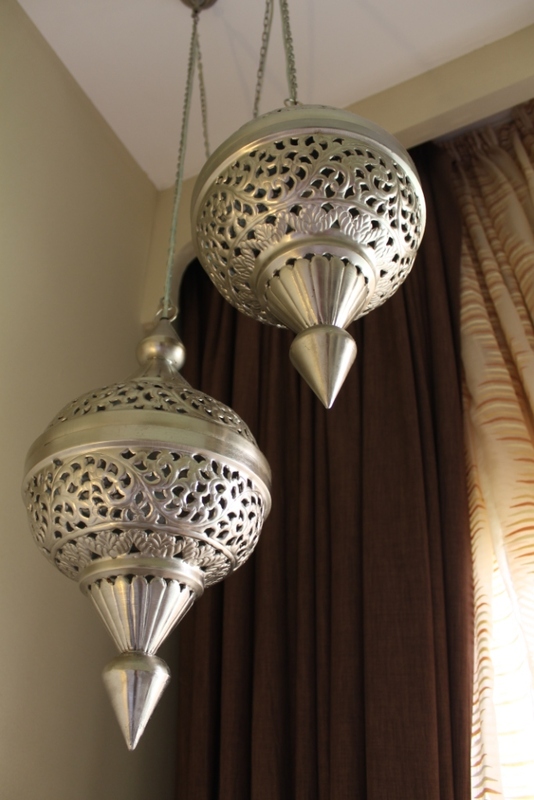 We stayed in the Tilal Room, featuring Arabian style decor and a huge (and very comfortable too) king sized bed. The room also had an en suite, and the standard storage space, mini-fridge, television etc. 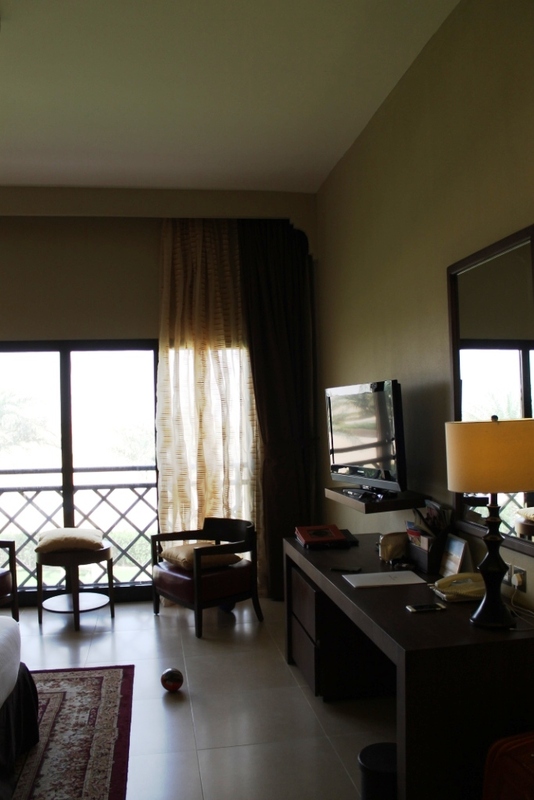 The room was reasonably spacious but the best part had to be the view of the desert from the full length window. I could get used to waking up to that every day! 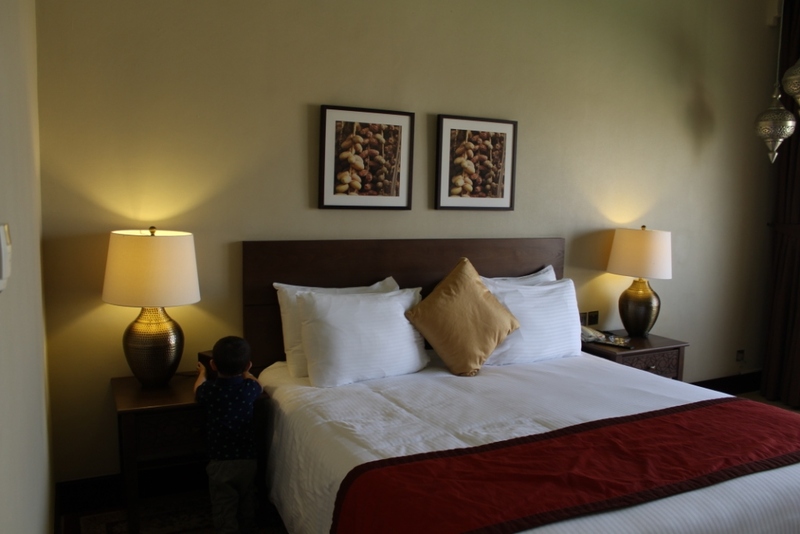 Since Baby Z hadn’t napped in the car, he was zonked out as soon as he hit the bed, and I was glad he was getting his rest before he got to explore the hotel. 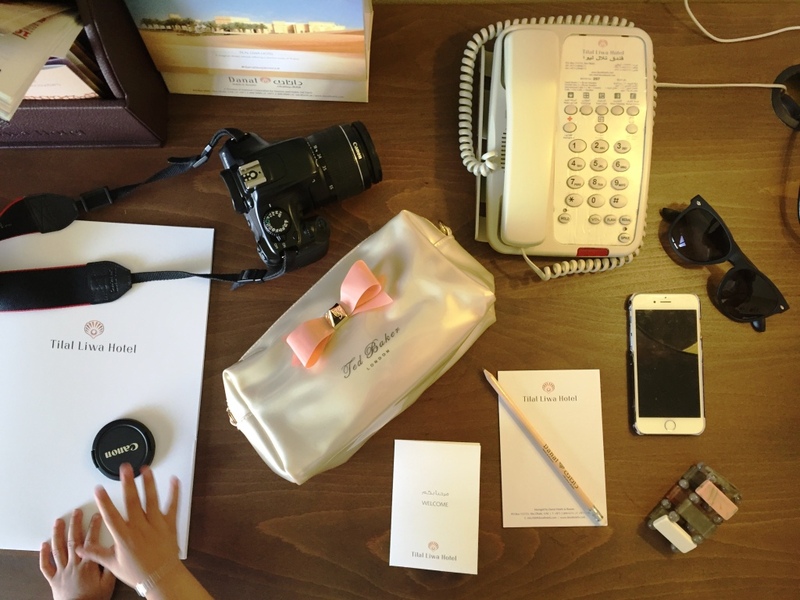 Whilst he napped, I finished unpacking our things and was given a quick tour of the hotel itself. 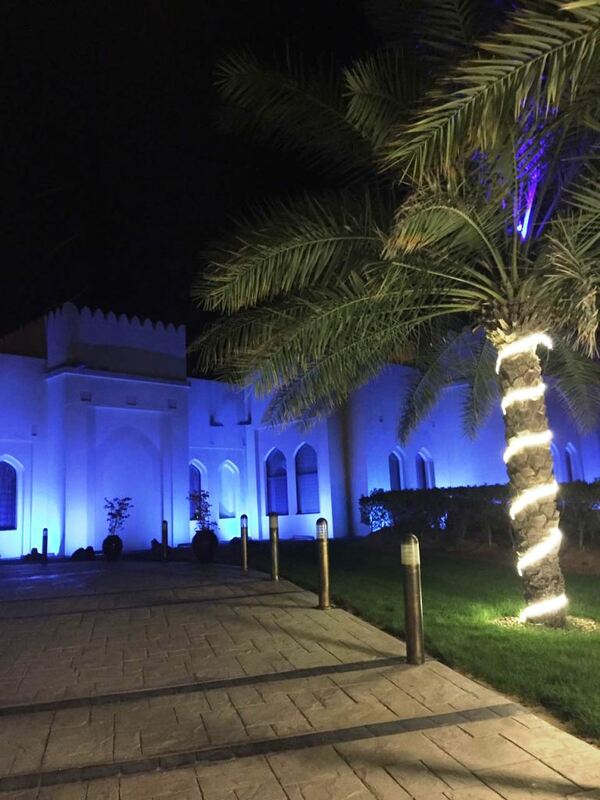 The hotel is quite adequately small, including the dining restaurant, Al Badiya, an intimate bar, a conference room, gym, steam and sauna, massage room and the pool. 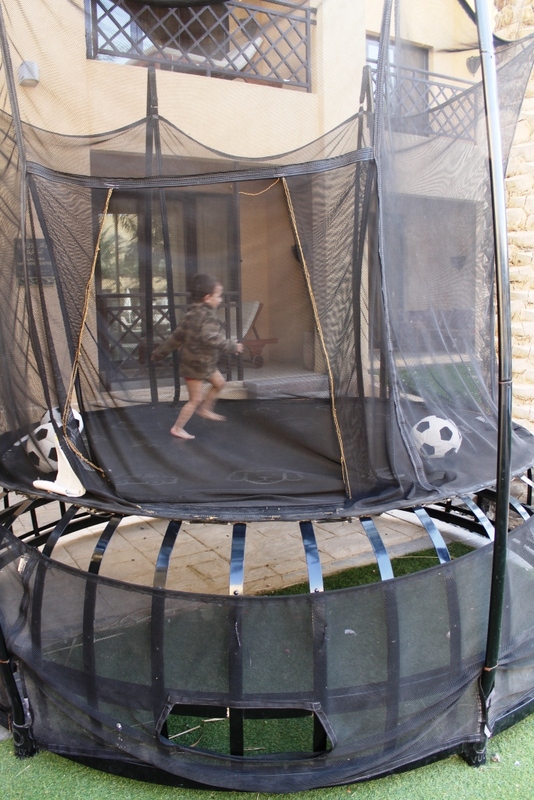 The outdoor gardens also include a trampoline, toddler play room and table games such as snooker and table tennis. Once Baby Z was awake, we simply had to hit the swimming pool, which is temperature controlled. Though it was rather chilly when first stepping in, we quickly got used to it and began enjoying splashing in the pool. Baby Z loved the slides, giving us quite a few heart attacks as he would be ready to whizz down whether his dad was ready to catch him on the other side or not! It was great to see him enjoying himself, and the party did not stop there. 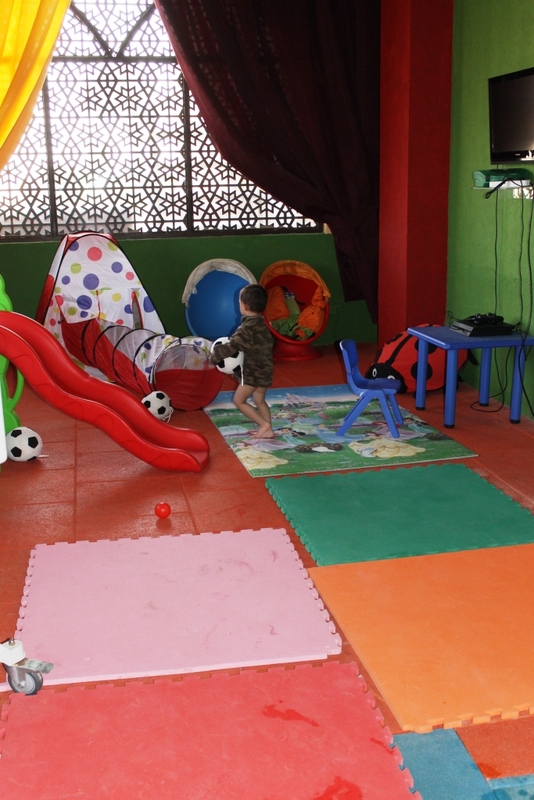 Once he was out and dry, I ushered him into the toddler play room from where he collected all the soft balls and brought it with him into the trampoline, pretending to dive kick. Boys, I tell you! My husband and I enjoyed a game of snooker next…well ok, he was the one enjoying himself, whilst I aimlessly hit the ball around. 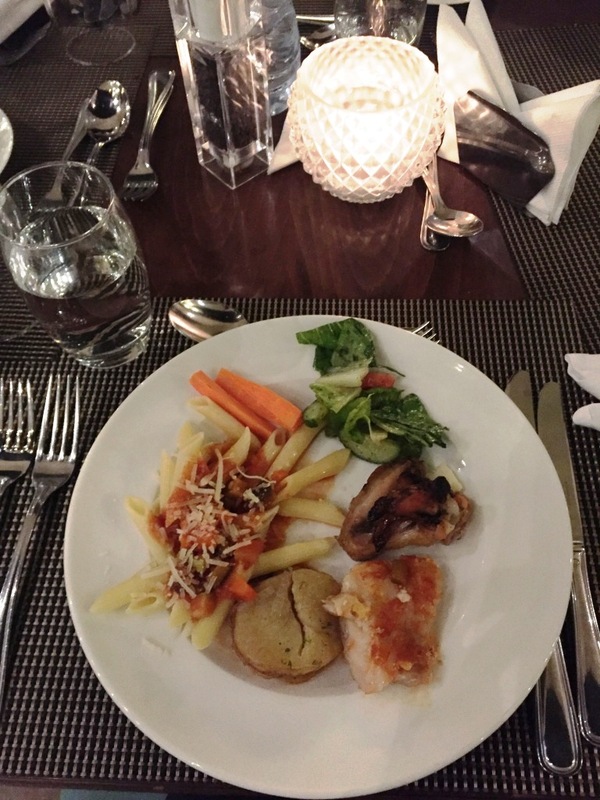 Once back in our room, we freshened up and headed back to Al Badiya for the dinner buffet. We were ravenous and the pasta went down a treat with the little one. I loved the candle lit atmosphere as we enjoyed our meal. Baby Z was being such a sport, and that made the whole experience ten times better for sure. He was definitely not as interactive on our last staycation, so it was really lovely to involve him in everything and seeing his reactions. 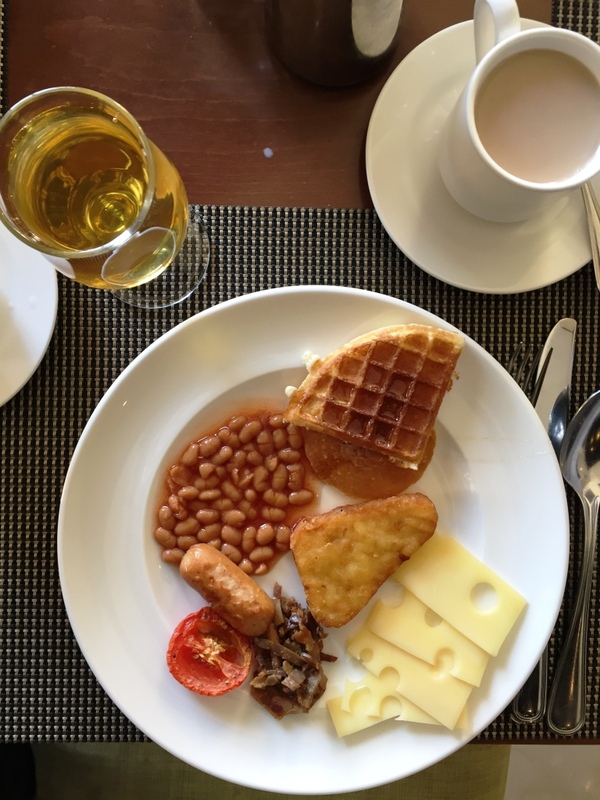 Day 2 was spent along the same theme of relaxation, starting with a hearty breakfast, exploring the hotel, in room lunching, followed by nap time. 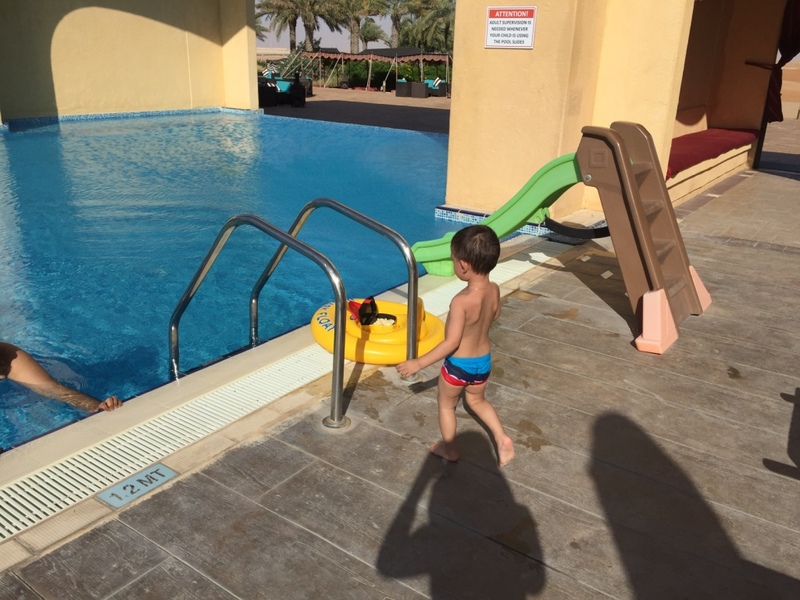 Once Baby Z was rejuvenated by his nap, we headed back down to the pool for more fun. Baby Z was ever ready to jump into the pool, without flinching, and it was my husband and I who had to make sure we were there to catch him! 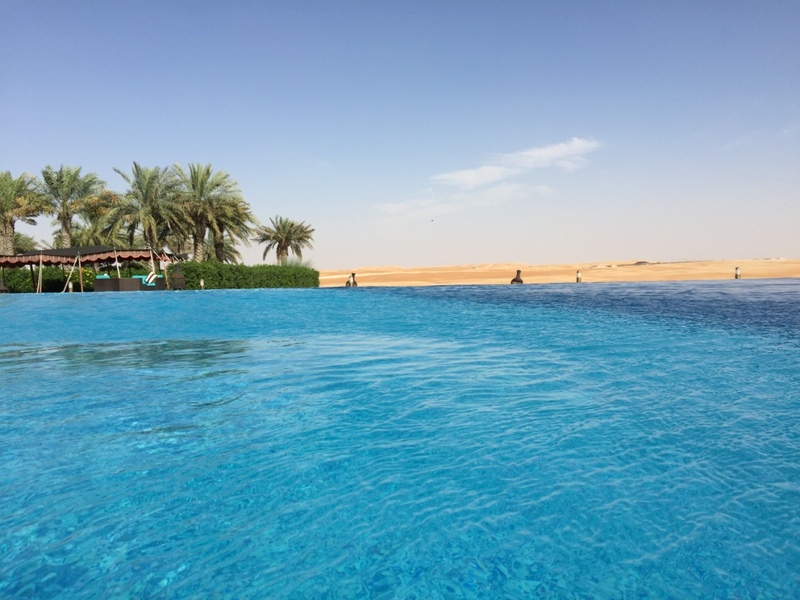 The view of the desert from the pool was simply stunning, and once we were out and dry, we spent the following hour lazing on the sun beds, whilst Baby Z pottered around the gardens. Heavenly! 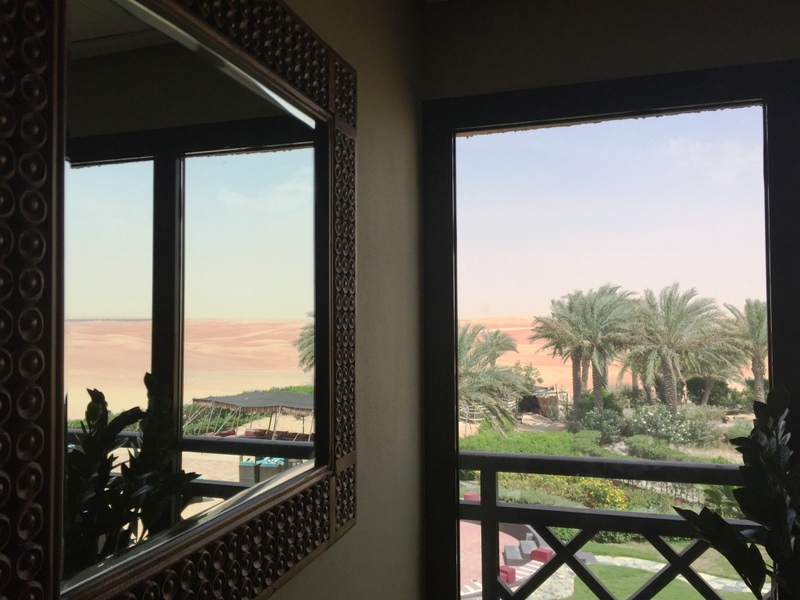 Seeing the desert landscape from our room, I knew I wanted to step in to the sand, so we freshened up and headed back in to the desert to do a little more exploring. Watching the sunset as we lay in the middle of the desert had to be the highlight of our trip. 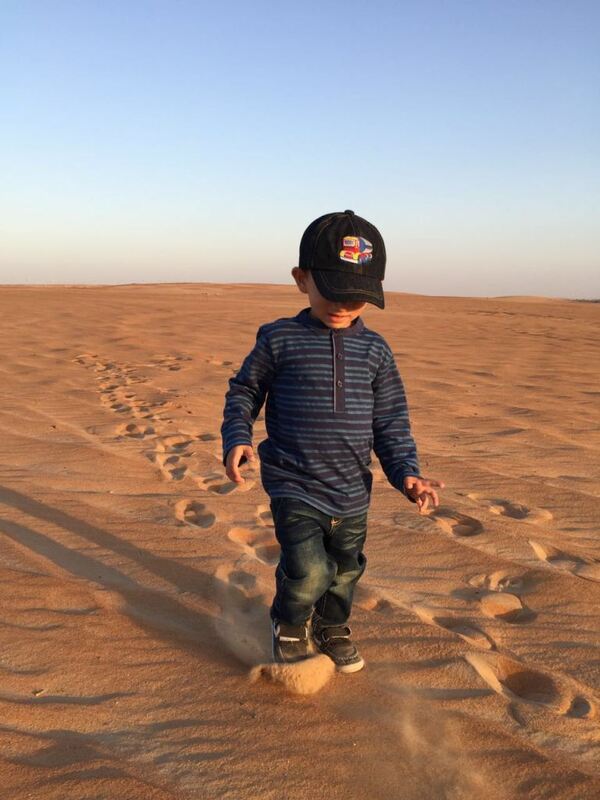 Being surrounded by nature, whether that is a blooming garden or sandy desert, sure puts things into perspective, and being there with both my special boys made it all the more magical for me. Of course, almost as if on que, once the sun had set, Baby Z managed to get a little bit of sand in his eye, so we had to make a quick get away back in to the hotel grounds. 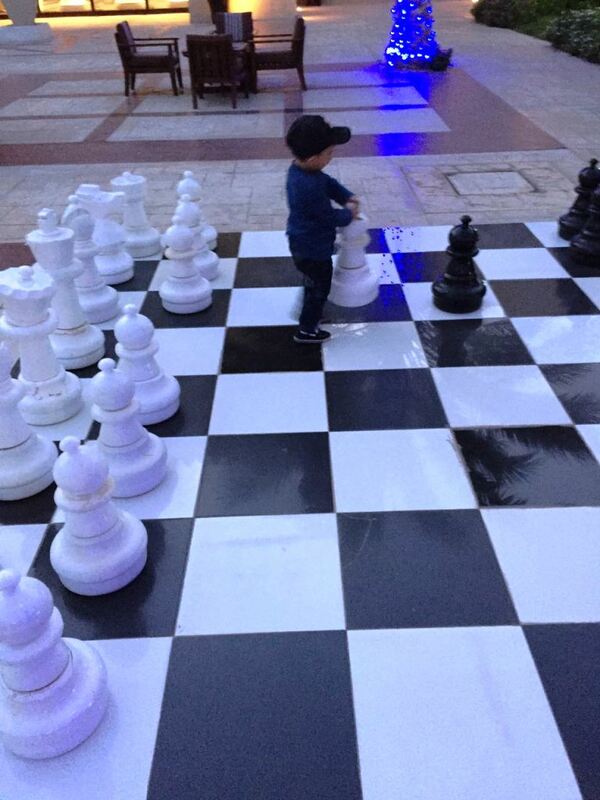 We managed to sooth him in the outdoor majlis seating area, and before we knew it, off he went to do some more exploring. 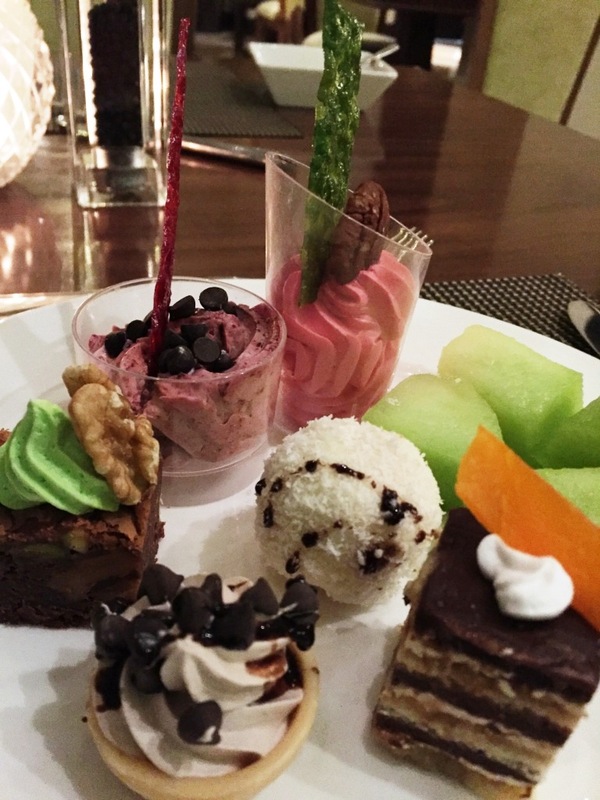 It was almost time for dinner, so we headed back into Al Badiya for the buffet. 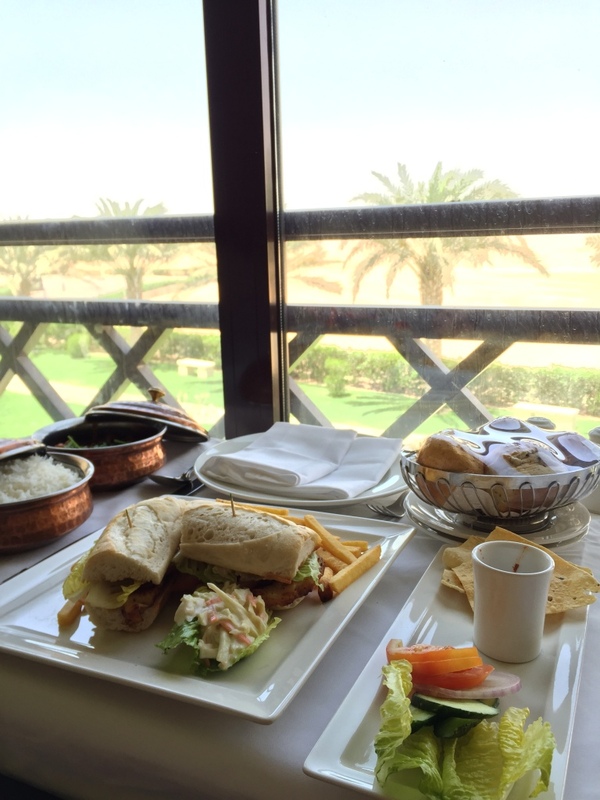 The hotel does offer an outdoor Barbecue, which we would have loved to try, but unfortunately we would have to wait for an hour for it to be ready, and seeing as Baby Z was getting rather hungry, we did not want to risk any toddler tantrums! It would make the perfect Bedouin dinner experience, I’m sure. After dinner we took a walk around the hotel grounds once more, taking in the beautiful and peaceful surroundings. The next morning, I was definitely sad to say good bye to this, as we had such a wonderful time in this haven that is Tilal Liwa. 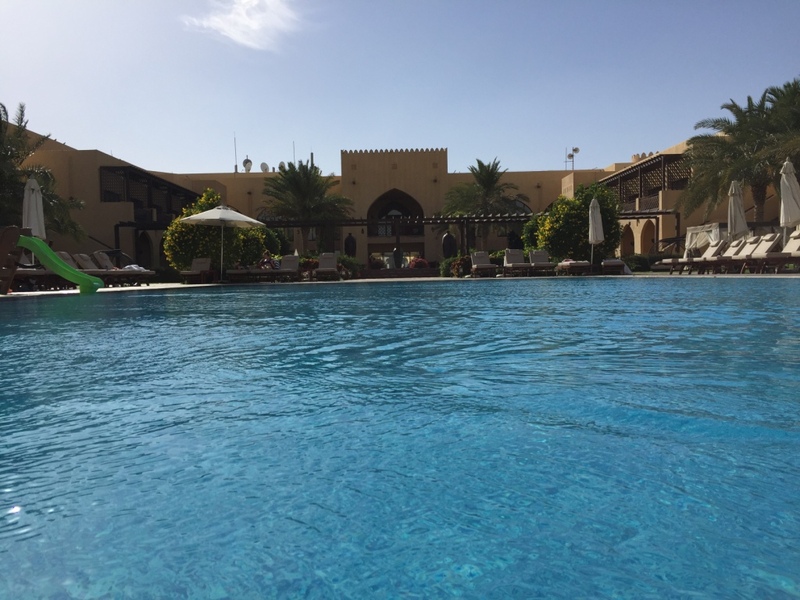 I do not think 2 nights were enough, especially since we had such a long commute, and I would have loved to try out their adventure activities such as quad biking, camel trekking, sand boarding and kite flying to name just a few. 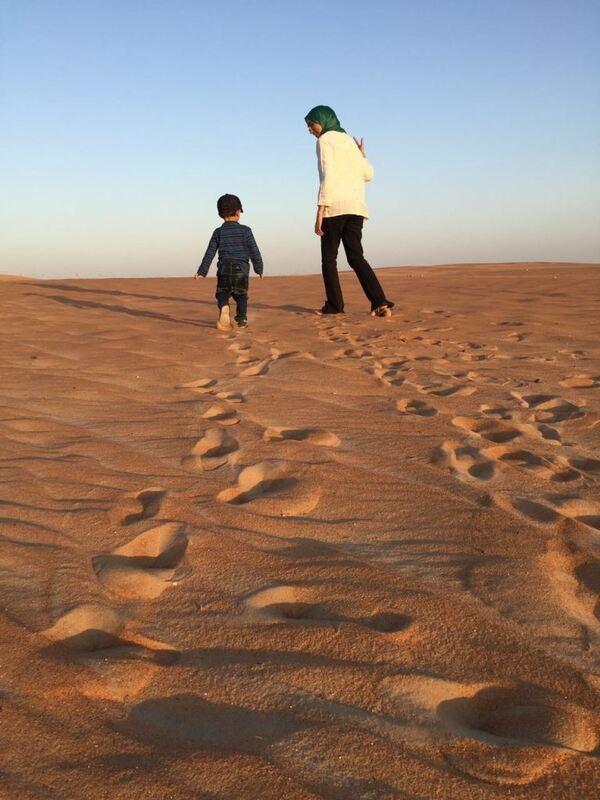 Over all, Tilal Liwa offered us one of the most unique experiences of desert life. 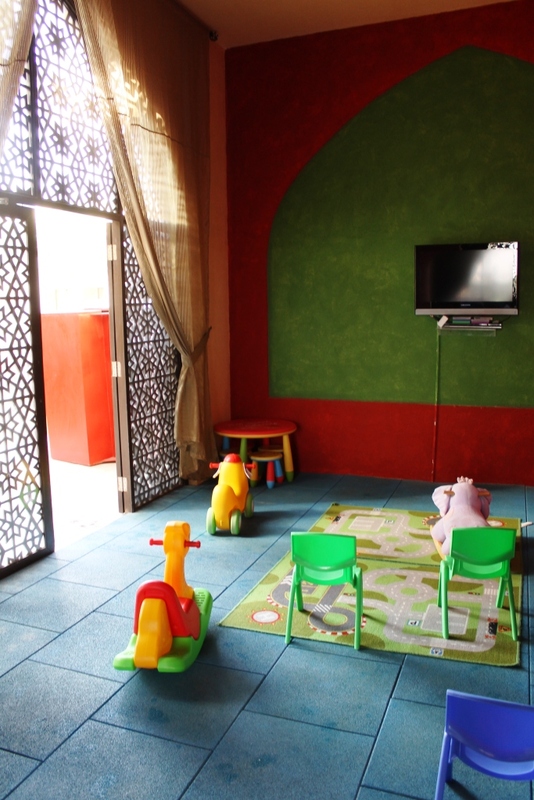 I think a longer stay is needed, especially if you are on holiday with little ones, to try out their other activities as well as laze around by the pool. Though the food was delicious, and well- presented, I would have liked other options rather than just ordering from Al Badiya, but then again if there was a McDonalds nearby, it would probably ruin the “being-in-the-middle-of-the-desert” idea behind the hotel. 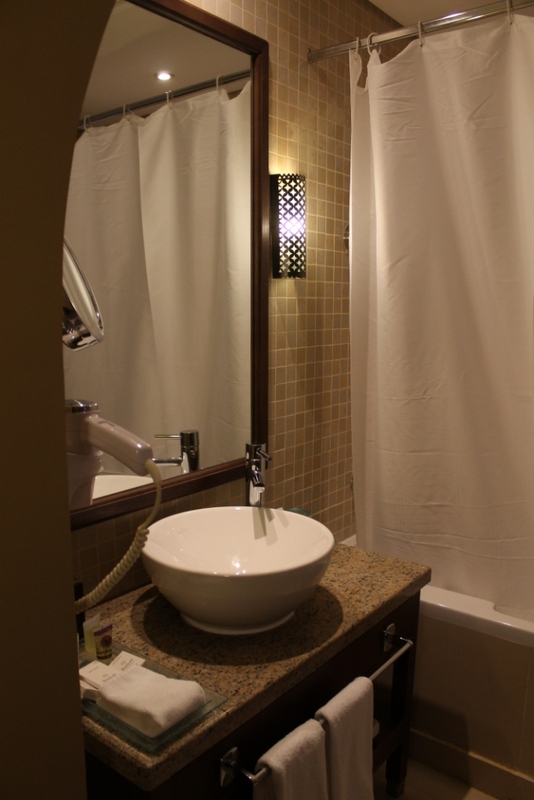 The service we received was very good and we left feeling very much relaxed and rejuvenated. 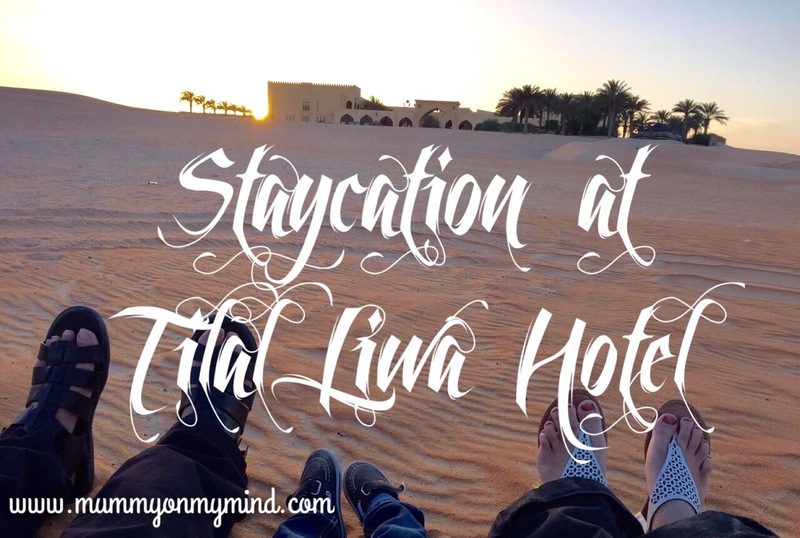 I would definitely love to revisit Tilal Liwa for the serenity the place offers. 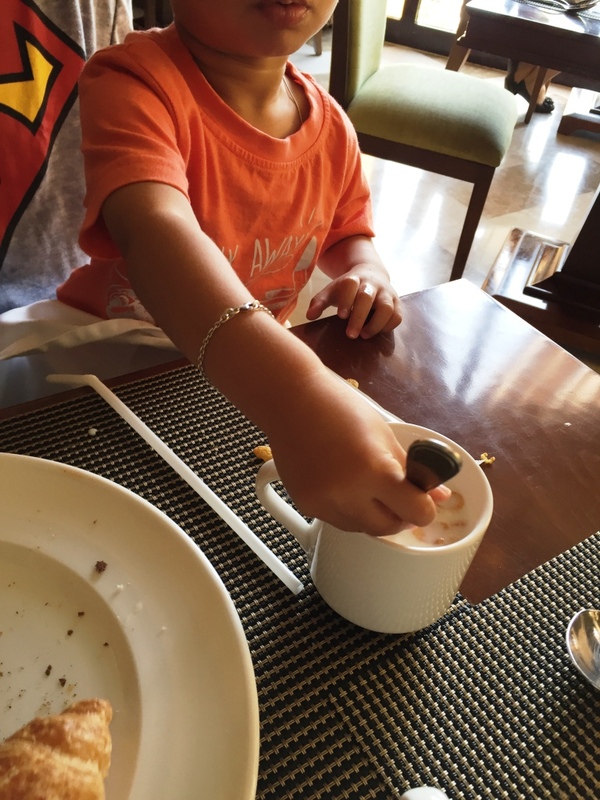 Though it is perfect for a romantic couple getaway, even with a toddler in tow, we had a lovely time as there were plenty of things to keep the little one busy. For more information on how you can book your getaway, or to find out more about this hotel, simply head on over to their website or check out their social media on Facebook, Twitter and Instagram. 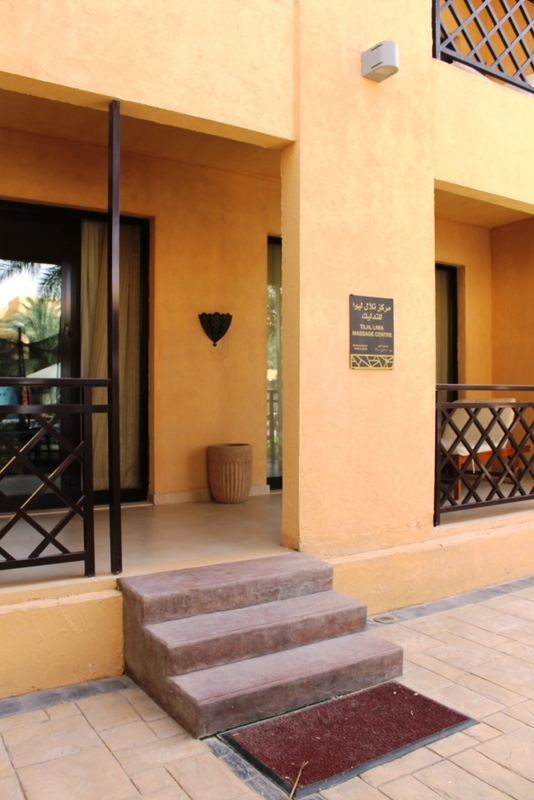 Note: We were guests at Tilal Liwa Hotel for a discounted price, however all views and opinions expressed above are honest and solely my own. 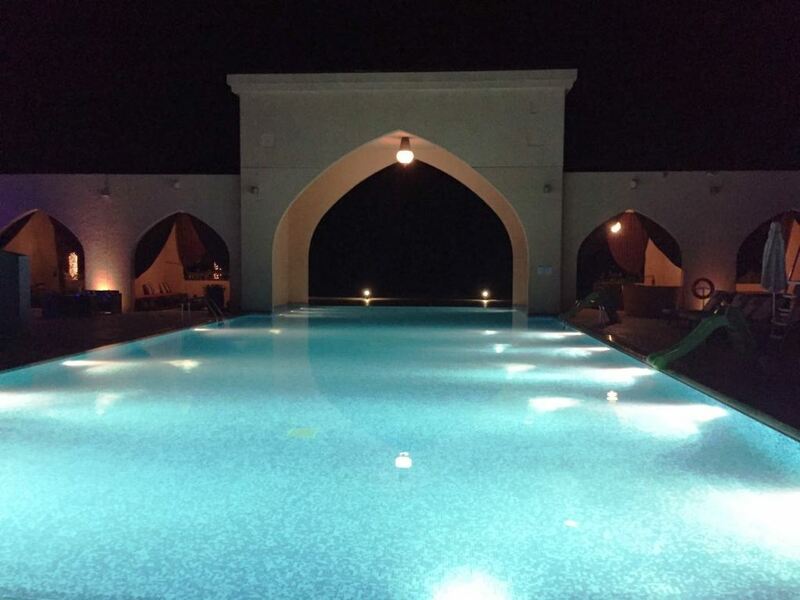 Have you been to Tilal Liwa Hotel? What were your thoughts? Please feel free to share your experiences in the comments section below! We’ve been there too. The view is great, but unfortunately, there was a dust storm the day we went so couldn’t do much. Oh no that is such a shame! Perhaps another trip is in order! Ha!